There is in existance a portfolio of this professional illustrator in which is pasted examples of his work. 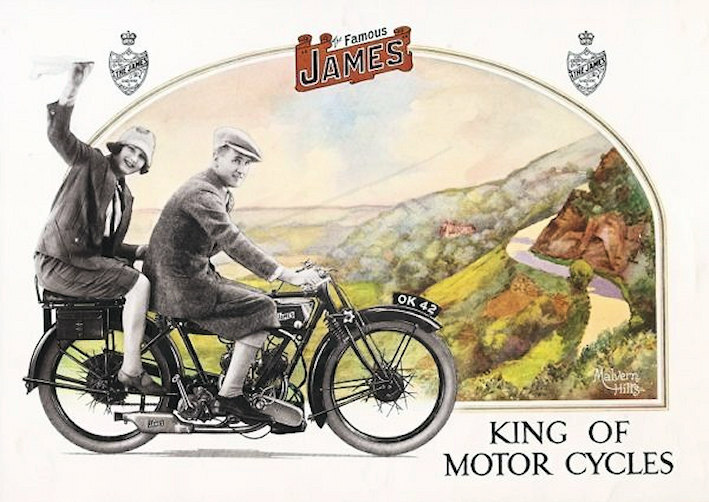 Amongst others are designs for James motorcycle and cycle adverts from the mid 1920's. James Model 12 500 cc with the Malvern Hills as background. Image courtesy of Peter Moss/ Richard Roberts.